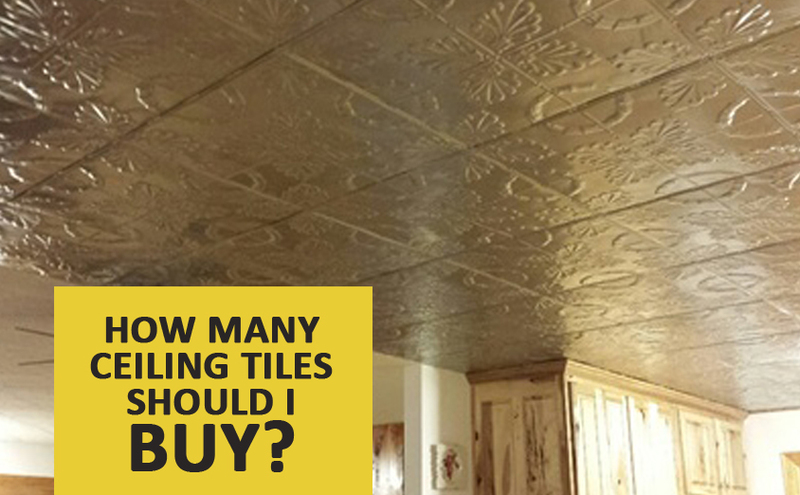 How Many Ceiling Tiles Should I Buy? Congratulations! You’ve made it through one of the stressful parts of choosing metal ceiling tiles. You’ve finally decided on a color and design with which you’re satisfied. Although this is an exciting time, it can be a bit overwhelming because there are so many amazing options to choose from. Once you’ve chosen your favorite tile, however, you’ll quickly realize another hurdle to overcome. Now you must try to figure out how many tiles to order. There’s nothing worse than ordering too few tiles, costing you valuable time as you must wait for a new shipment of tiles to arrive. Fortunately, this process is more straightforward than it may seem. With the tips and guidelines below, you can order the correct number of tiles the first time so that you can complete your project. No matter where you’re installing your tin tiles, you’ll need to take precise measurements of the area. This is applicable no matter if you’re installing a tin ceiling, a backsplash, or some other project. The saying “measure twice, cut once” is very much applicable when it comes to working with tin ceiling tiles. A good rule of thumb for deciding on the number of tiles you’ll need is to multiply the ceiling width by the ceiling length. Then, multiply the dimensions of your tiles together. So, if you have a 2’ x 2’ tile, you’d get 4. Divide the ceiling surface area by the tile surface area, and multiply by 1.02. This will then give you an idea of how many tiles you need. Even if you are precise with your measurements, it could still make some sense to order a couple of extra tiles. If you make a mistake when cutting a tile, or if you damage a tile in any other way during installation, you’ll have a backup on hand.